In healthcare applications, the perfect way to provision and re-deploy large number of devices. 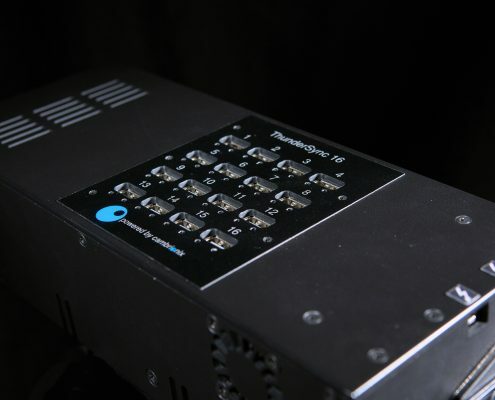 Internally, ThunderSync contains an Intel and Apple, Thunderbolt Certified, design which provides a robust interface between large numbers of USB devices and the Thunderbolt interface. We utilise a number of programmable components and microcontrollers in order to get the very best from the various internal interfaces within ThunderSync, providing robust, high speed data transfer for the most demanding and mission-critical applications. 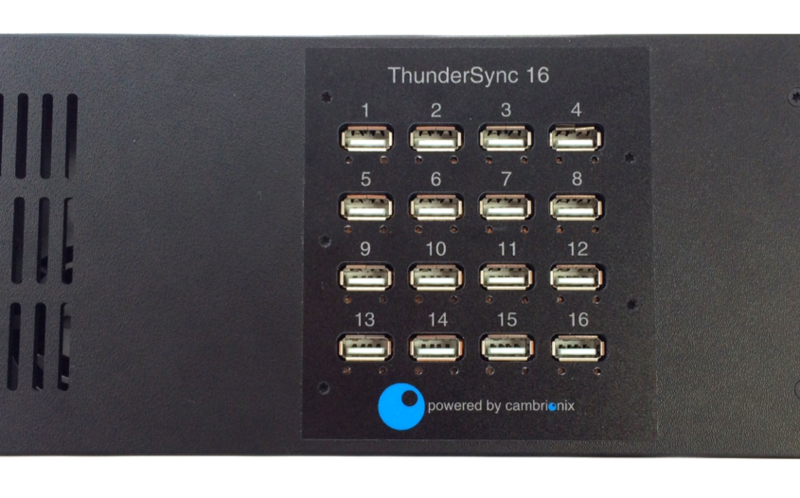 ThunderSync16 supports our unique application programming interface (API) which allows you and third-party software developers to automate, monitor and control each port programmatically. With the API, you can monitor current consumption of each individual port, total connection time, charging time and control the 32x front panel LEDs, turn power on/off to individual ports, emulate different charging profiles, read USB VID/PID and much more. The API is a free download for users.